Please follow below steps to record PC screen. Select Record PC Screen under Record. 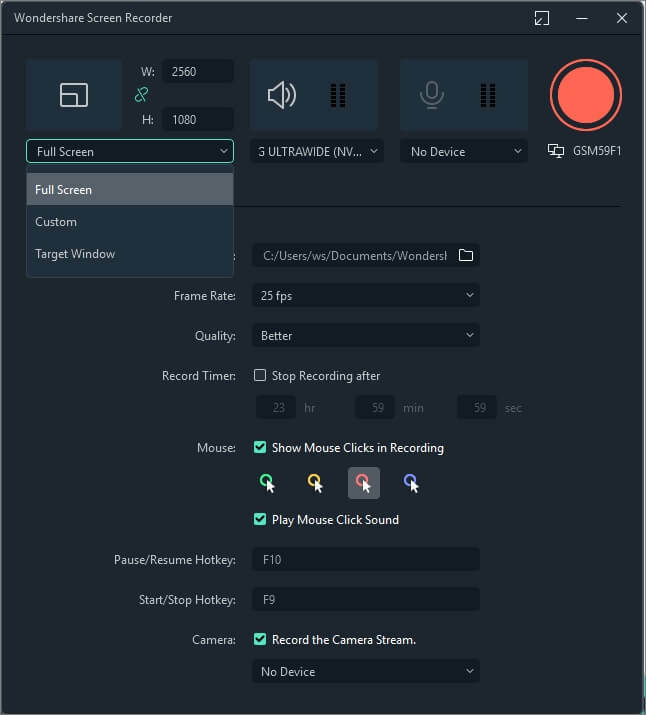 There are three kinds of screen recording for selection, including Full Screen, Custom and Target Window. Next, if you need to record from microphone or record computer system audio. Please click the icons to turn them on or off accordingly. Lastly please press Settings to check if there is anything you need to adjust before recording. When everything is set please press REC button, the program will not start recording until finish counting from 3,2,1. After counting, please press F9 or you can customize your own Start/Stop Hotkey in Settings to stop recording. Finally the recorded video will be dropped in the media library automatically.